Home / Case Results / Brooklyn Merging Accident Lawyer Review: Junior F.
Brooklyn Merging Accident Lawyer Review: Junior F.
On April 4, 2015, Junior was on his way to a conference. 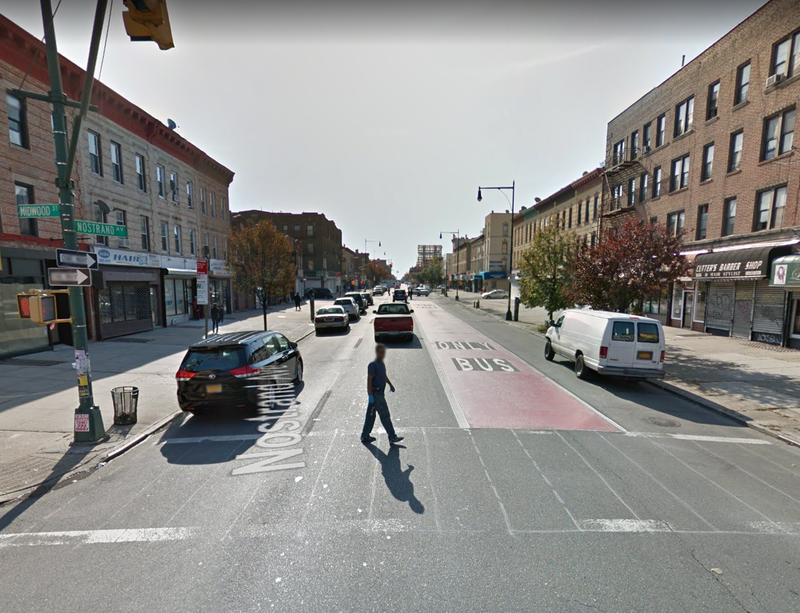 When he was near the intersection of Nostrand Avenue and Midwood Street (Brooklyn, NY), a driver in a large Cadillac pulled out from the curb on Junior’s left side and struck the rear/driver’s side of Junior’s vehicle. The driver of the Cadillac claimed that Junior “sped up” and got in the way while she was pulling out. When Junior’s pain become unbearable a few days later, he went to Kings County Hospital where he was evaluated and discharged home with medication. As a result of the accident, Junior suffered injuries to his neck and back. He was confined to his bed for approximately eight weeks, and attended physical therapy, chiropractic care, and acupuncture for the pain. After several months of treatment, Junior stopped attending treatment because it was not improving his condition. Since minimally invasive treatment failed to work, Junior received four injections and underwent neck surgery (which turned into another awful experience when a tube broke off in his neck and was rushed to another hospital to get it removed)! “It was a shocking experience and I thank God I’m alive,” said Junior. Since Junior was not receiving good service from another law firm, his friend told him to contact The Case Handler team at Pollack, Pollack, Isaac & DeCicco, LLP! 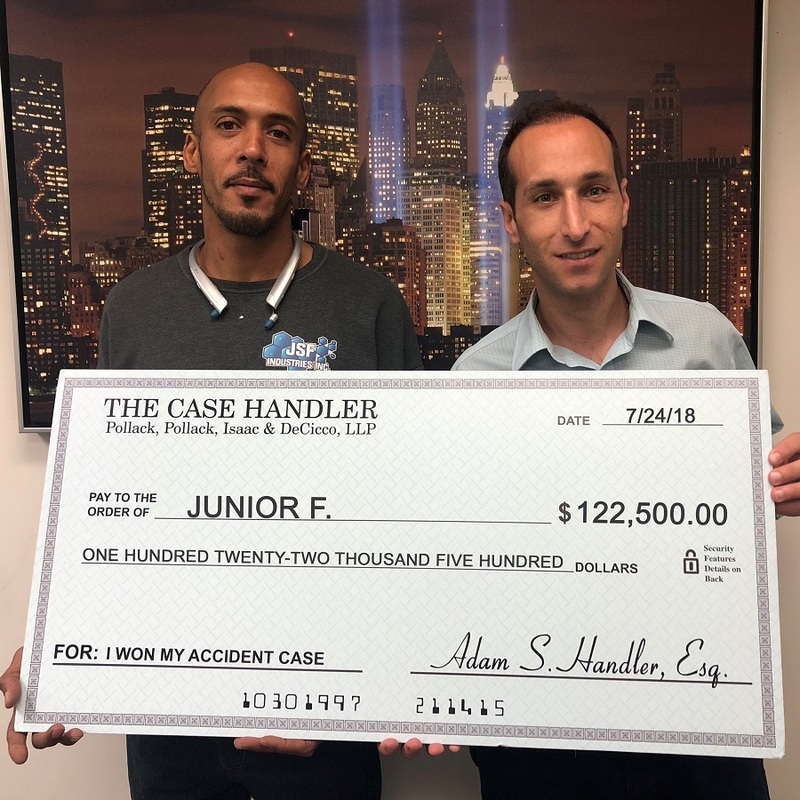 With our help, we were able to prove that Junior was not responsible for the accident (despite the other driver’s statement), take care of all his medical bills, and recover $122,500.00 from the Cadillac driver’s insurance company! While it is important to consider hiring a lawyer to handle your car accident, how do you know if you hired the right lawyer for your case? Besides looking at the firm’s reputation and past results, a simple, yet very important factor to consider is how the firm treats you. Junior didn’t realize until after he hired another firm that they were just not a good fit him. If that’s happening to you right now, it doesn’t have to be that way. If you or a loved one were injured in a Brooklyn merging accident, get clear legal guidance from The Case Handler team at PPID, where we treat our clients like family.